Even as we wait for the official launch of the Windows 10 operating system which is slated to be on July 29, users from all around the world already have a picture of what they can expect. The decision to overlook the Windows 9 name seems to have paid off because even though the OS is yet to be officially launched, the buzzword is quite encouraging. 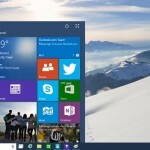 The public preview of the Windows 10 Technical Preview back in autumn was a huge success and the follow-up updates have not disappointed yet. 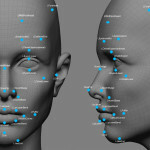 Is Facial Recognition Technology Your Best Option? Regardless of the security threats posed by this technology, facial recognition software may just be the solution that your business or company has been looking for in terms of security measures. If anything is to go by, the very recent actions by Facebook not to offer its photo sharing app in Europe due to the concerns raised by the regulator on their facial recognition technology goes to show you that the threats are real.